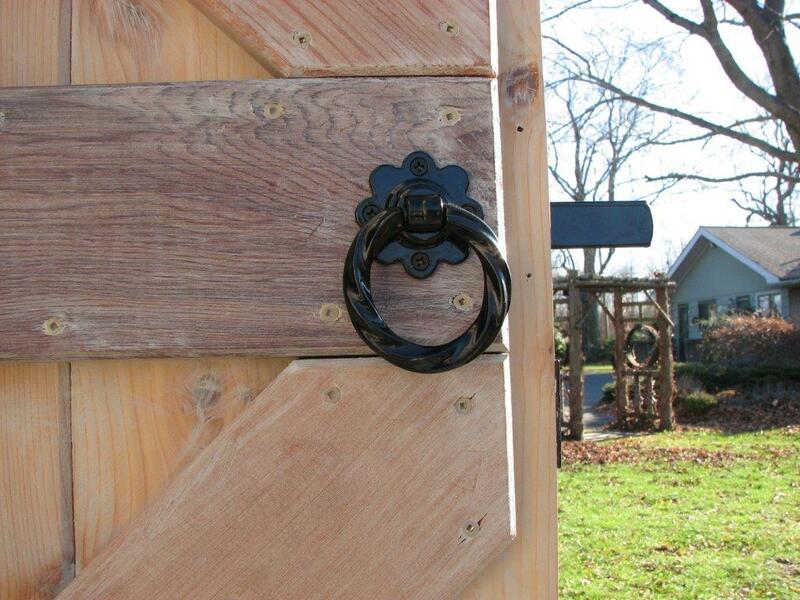 An old fashioned latch set we don’t make but we have used on our Connecticut barns for over 30 years now. 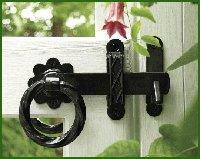 Imported product made from strong stainless steel with an exterior black powder coating. 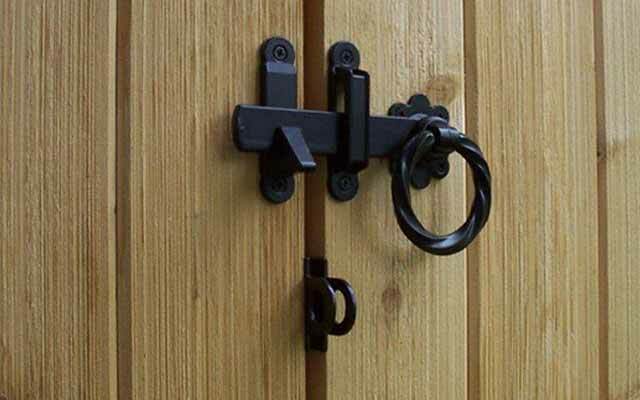 This latch opens from inside with a second ring. The padlock eyes are included. Fastening hardware included.